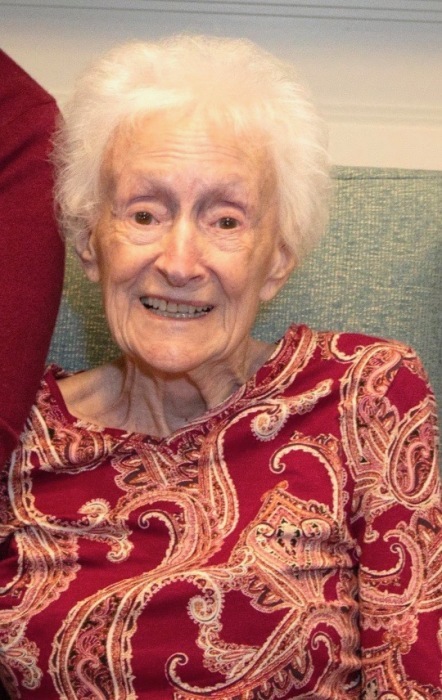 Pauline “Paula” (Blair) Scott, age 87, of Mechanicsburg, and formerly of Clearwater and Largo, FL, Bellevue, NE, and West Liberty, KY, passed away peacefully on Saturday, January 12, 2019. Paula was born on Monday, October 26, 1931 in Middletown, OH to the late Asa Blair and Pauline Maude (Davis) Blair. Paula was the widow of Carlos Ray Scott, whom she married on October 1, 1949, and who died on August 30, 2002. In addition to her parents and husband, Paula is preceded in death by her brother, William “Bill” Blair. Paula’s survivors include her two daughters: Deborah Blair Brillon of Vero Beach, FL, Delinda Alison Eastham and her husband, Mike, of Mechanicsburg; her two granddaughters: Nicole Blair Slack and her husband, Joseph Carl, of Mechanicsburg, Amanda Elizabeth Hilliker and her husband, Garrett Todd, of Magnolia, DE; her three great-granddaughters: Savannah Grace, Alison Kate, and Emmeline Joy Slack, all of Mechanicsburg; and her brother, John B. Blair of Maitland, FL. Paula graduated from West Liberty High School in Kentucky. She retired from the real estate business in Florida in the early 1990’s. Paula was a member of St. Paul United Methodist Church in Largo, FL. She loved watching Kentucky basketball, going out to eat, and engaging in fellowship with her friends. Paula enjoyed traveling all over the world and having countless opportunities to see and learn new things throughout her life. The most treasured things to her were all of her grandchildren and the time they spent together. All are welcome to join Paula’s family at her graveside service on Friday, January 18, 2019, at 1:00 p.m. at Serenity Gardens Memorial Park, 13401 Indian Rocks Road, Largo, FL, 33774; with Pastor Branson Rogers officiating. Contributions in celebration of Paula’s life can be made to the American Cancer Society, P.O. Box 22478, Oklahoma City, OK, 73123. Paula’s family has entrusted her care to Myers – Buhrig Funeral Home and Crematory in Mechanicsburg, (717) 766-3421. Read Paula’s full obituary and sign her official guest book at Buhrig.com.